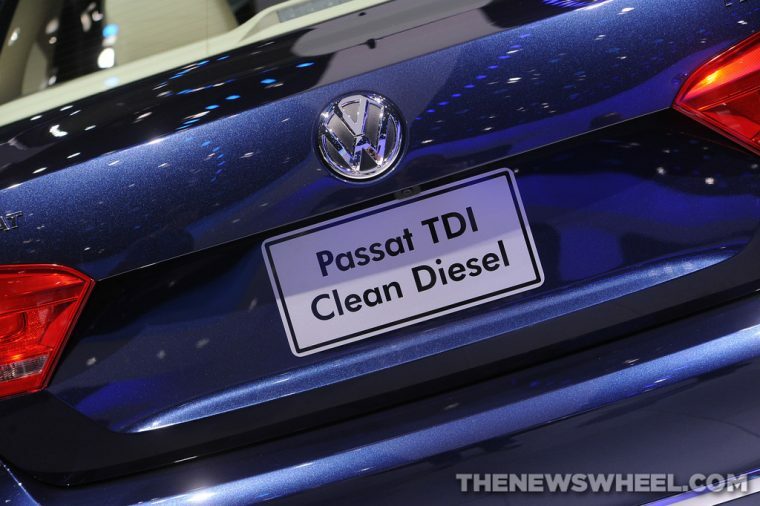 If you watched the news yesterday or follow any automotive news sites online, you know that Volkswagen is in big trouble after the EPA discovered that its “clean diesel” engines were designed to pass emissions testing, but then give off pollutants up to 40 times the legal limit in everyday operation. Today, the situation got infinitely worse for Volkswagen when it admitted that the affected 500,000 American cars are only a small portion of the 11 million cars around the world with the fraudulent software. Tuesday’s acknowledgement from the company opens it up to fines and other punishments from around the globe. Volkswagen announced that it was setting aside 6.5 billion euros, or about 6 months of profits, to pay to rectify the situation. It remains to be seen if that will be enough, as early estimates of $18 billion in fines was only the maximum that the EPA could charge for the affected American vehicles. That’s not including fines that California could levy against Volkswagen, as their environmental restrictions are tighter than the rest of the US. Class action lawsuits have also already been filed, and the US Department of Justice has opened a criminal investigation. To say that VW owners are upset would be a gross understatement, as the recall will lower the value of their vehicles, and the repair will probably significantly decrease fuel efficiency. Before this scandal, Volkswagen was in a neck and neck race with Toyota to be the biggest automaker in the world, which means there are a lot of drivers to apologize to. An automaker that large is also bound to have many critics, like former Governor Arnold Schwarzenegger, who are using this growing disaster to their advantage. I’m mad as hell right along with my old, great photographer John Decker. I remember when we passed our tailpipe emissions in California, Volkswagen was right there to sue us. Later, when they asked for a meeting and I asked them why they weren’t making electric cars, they told me about their clean diesel, and I said, “If it’s so clean, drink it in front of me.” They obviously didn’t. I hope the car manufacturers hear the message loud and clear. Consumers want cleaner cars and won’t stand for less. Before this scandal, dubbed “Dieselgate,” broke out, Volkswagen was being credited for a diesel renaissance in the United States. Other automakers are rolling out diesel vehicles, such as the Chevrolet Cruze, Ram 1500 EcoDiesel, and confirmed models from Cadillac and Nissan. If driving a diesel vehicle isn’t as affordable and clean as originally estimated, it’s possible that diesel engine options will once again disappear from the American market. Only time will tell what the final damage will be to the automaker as recalls and apologies are issued, or if it will even survive this controversy. Would you buy a car from a manufacturer that went to all the trouble to cheat on regulatory testing and lie to its customers?